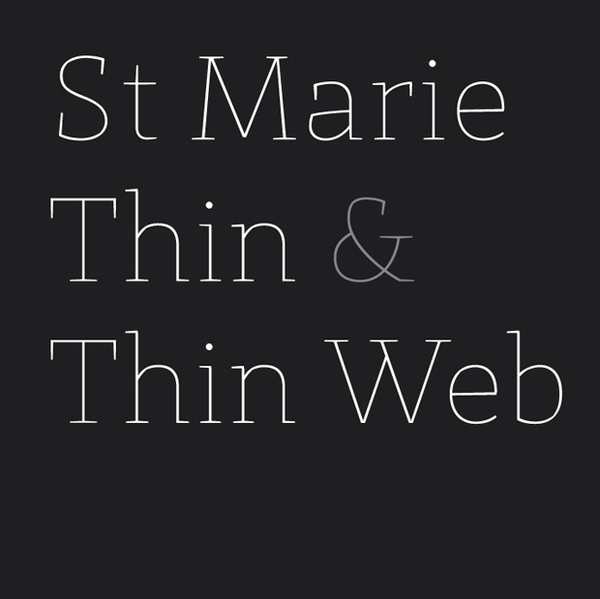 St Marie Thin is a preview for the upcoming release of a new typefamily, but this time i want to go further with that freefont-thing. There will be one normal Open-Type-Font and an optimzed Webfont, so you can design online and offline with a hiqh quality freefont from Stereotypes. You will find in your download-folder the .otf-file and a new webfonts-folder. This folder contains one normal file (Upper- and lowercase) and a second file with a small-caps-version of St Marie Thin. Both fonts are generates as .woff, .eot and .svg, so you get the chance to see this webfont in most of the common web-browsers.